What's it about? : A milkman (Kaye) accidentally knocks out a professional boxer (Cochran) and is pressured by the fighter's manager into becoming a boxer himself. How is it? 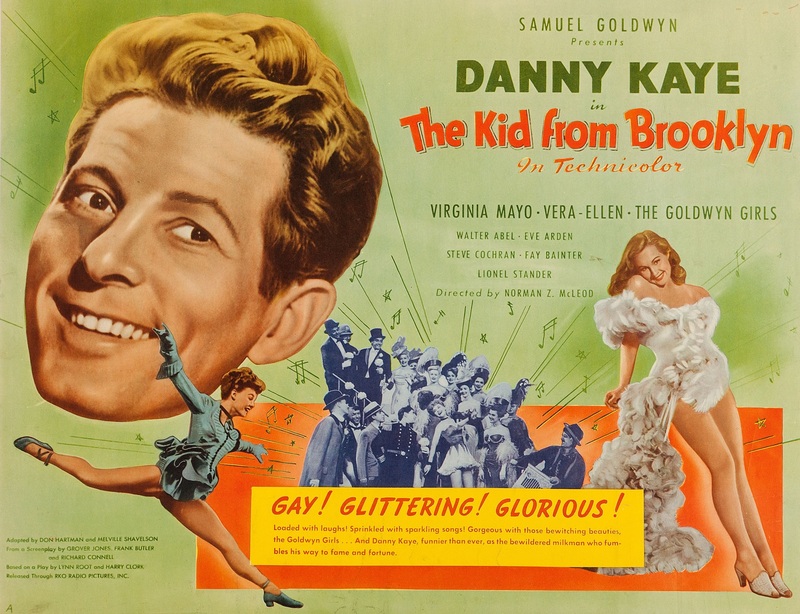 : Easily my favorite of the three early Danny Kaye movies we've seen so far this year. In addition to Cochran, Vera-Ellen and Virginia Mayo are also both back from Wonder Man, playing Kaye's sister and girlfriend respectively. The movie's as funny as the previous two, but the music is better with even more focus on Vera-Ellen's amazing dancing. There's also a nice character arc for Kaye's milkman and Cochran reminds me of Bobby Cannavale in all the best ways. And there's a great payoff gag at the end of the movie that made me want to rewatch the whole thing again right then. Rating: Four out of five pugilistic pasteurized-product peddlers. So this will be the first episode of "Dairy Dream: The Milkman Movie Podcast"! Right? I guess Fiddler on the Roof could be the second episode, but I'll need help filling out the rest of the schedule.